Although now something of an anachronism given Japan's penchant for demolishing and rebuilding their residence on a seemingly weekly basis, it is only in recent times that having your own bath became the norm rather than something of a luxury reserved for the rather more well-healed. And so, in days gone by, the daily wash-down would occur in the local communal bath-house, known as a sento. Unlike the more familiar onsen hot springs of rural Japan, where the weary traveller goes to relax in the therapeutic waters bubbling from the volcanic lands, the humble sento is predominantly functional. It's the place one goes to get clean. And never having been to one, I decided it was time to tick this particular experience off the list. 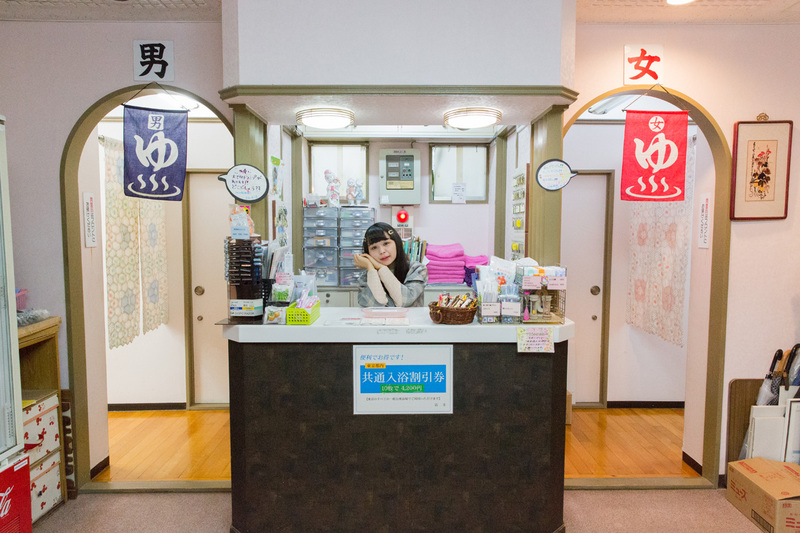 Japan is very relaxed about bathing together with friends and family often enjoying a gossip through the soapsuds and water, though post-war spas have typically been segregated as the western influence has encroached into life on the ground. And so on arrival into the back streets of Nakano in western Tokyo, nestled in an old, quiet residential neighborhood, we took off our shoes and my wife went through one curtain and I the other. And then things got weird. Inside the sento the walls were decorated with pictures of Fuji and a high tiled wall separated the men from the ladies and the first thing you notice is the incredible noise. It's amazing how loud a group of friends can be in a bath. And then there was the man covered with tattoos (something of a taboo in an onsen) and after I washed down politely I jumped into a one of the pools. Only to be electrocuted (I should have read the sign first). Washing down once more I headed back to the changing room where I relaxed for a few minutes au-natural (as you do). Looking up there was a kind old lady looking down, smiling through the open window of her house across the street. And then the attendant turned out to be a world class magician and began a series of incredible card tricks of which I am clueless as to how he achieved them. So, after all these years here, I proved to myself that the old adage is true; you learn something new every day. Have a nice bath. W tym roku sprzedajemy również żetony na driving vary.